Designed for high speed tapping applications. 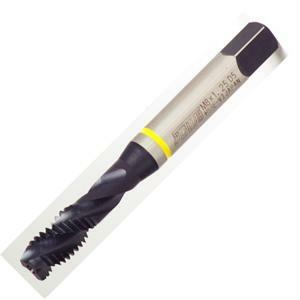 Developed to withstand the high stress and high heat associated with high-speed CNC production tapping. Features a unique free cutting design with a special tempering and geometry which contributes to extra tool life. Superior Performance in hardened tool steels such as 4140, 4340, H13 & D2.